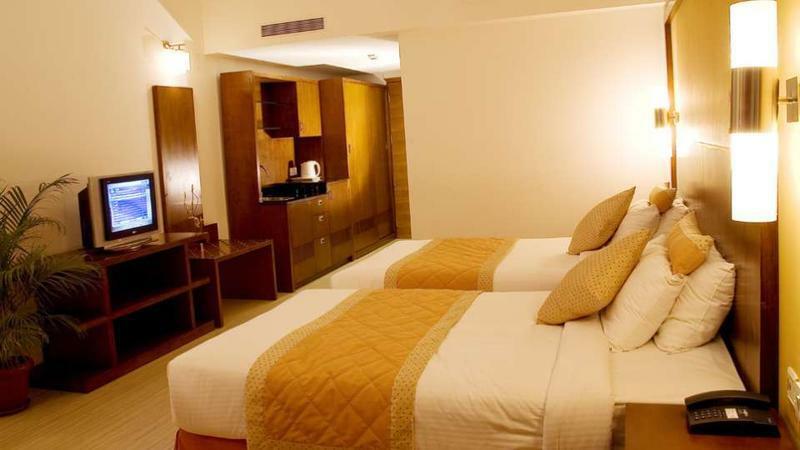 Evoma - Business Hotel, in K R Puram, Bangalore, is a 4-star business hotel which provides luxurious accommodation and excellent service to business travellers. The Hotel is located close to Whitefield, Bangalore's IT Hub, offering a convenient location to those travelling to Bangalore on business. We provide a choice of 65 luxurious and well-appointed rooms with numerous conveniences at your disposal. Our rooms are designed to ensure that your stay is meaningful and productive. We provide you with an atmosphere of comfort and relaxation. The rooms therefore have amenities such as in-room safe, free internet access, and audio and video conferencing. Stay with us to enjoy our quality service and warm hospitality.